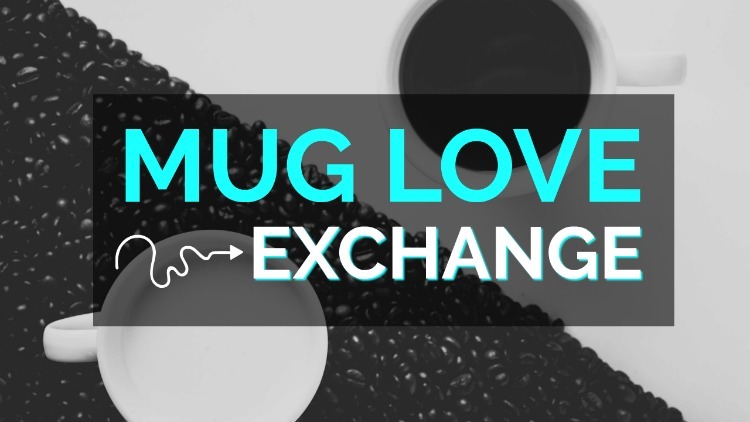 Do you remember last year when I participated in a bloggers coffee mug exchange? Well this year I am happy to announce that I am a co-host for this exchange. I love participating and co-hosting blogger exchanges because I get to know other bloggers and then I get to shop for them. I love this exchange even more because we exchange coffee mugs. Who doesn't love coffee and tea mugs? Last year I received a Be Happy mug and a pair of donuts hand towels, plus a card. - Sign-ups open September 4th and close on September 12th. - Complete THIS FORM to join our exchange. - Partners will be picked and notified by September 15th. - Get to know your partner and go shopping! - Spend anywhere between $10 - $15 before shipping. - Due to shipping costs, this exchange is only open to U.S. residents. I hope you join us this year!!! So fun and yay for co-hosting!! Yay....I signed up, I'm so excited!! I signed up, I'm glad I decided to do so! How fun to get a little fun mail :) Love those towels you got! I love a good coffee mug! Such a cute idea! Oh this is so fun! I think I might sign up! Yay fun! I am signed up and can't wait to participate! I'm so excited about this! And I'm excited about co-hosting, too! I can't wait to see what everybody gets! This is so awesome! I'm definitely going to sign up! Thanks for hosting! I'm so pumped for this exchange!! And to be co-hosting too. Yippee! Oh what a fun idea! !